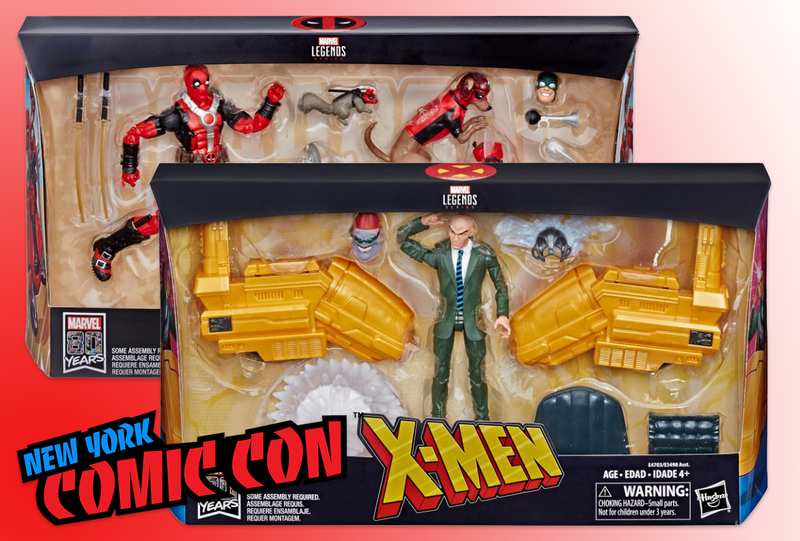 Just after getting a fresh look at 2019’s Hasbro Marvel Legends rider wave, the Hasbro Pulse Instagram account drops a couple of carded images! This wave consists of two new riders: Professor Xavier in his hoverchair and Deadpool on a Vespa with Deadpool Dog and Squirrel. We also found out some additional information about these sets this weekend. First, Professor X will include Cerebro’s helmet as well as an energy effect. Xavier is a fully articulated figure and even includes an adorable plastic blanket to put over his lap while positioned in his chair. Finally, the figure will come packed with a Shadow King head that can be placed on the upcoming Kingpin build-a-figure. The Legion fan in me is already planning out my best strategy to obtain a second Kingpin. Second, Deadpool’s Vespa will include a pack of stickers that will allow you to customize his bike to your heart’s content. Deadpool’s pack will also come with an extra head for Hydra Bob, in case you had any extra Hydra troops lying around needing heads. Both of these sets are scheduled to hit in early 2019 and should ship in the same case (I only mention that because this year’s Wolverine ended up shipping with Black Widow from the previous set). I’ve got a bunch of other New York Comic Convention Hasbro Marvel Legends coverage to post here, so stay tuned.